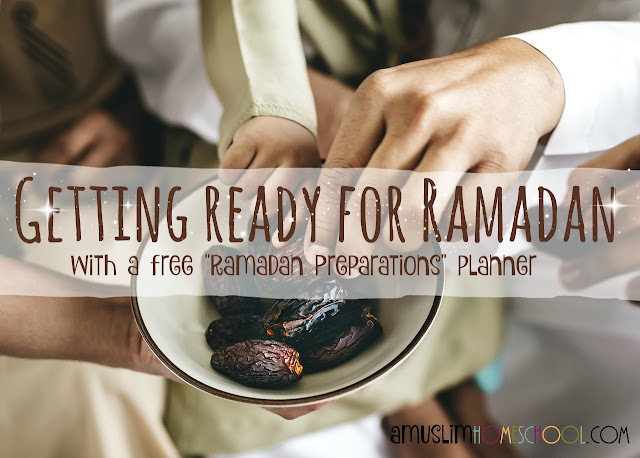 Following the pre-Ramadan prep planner, designed to help mums get organised; this week I'm sharing a set of guided activities for the whole family to come together on. 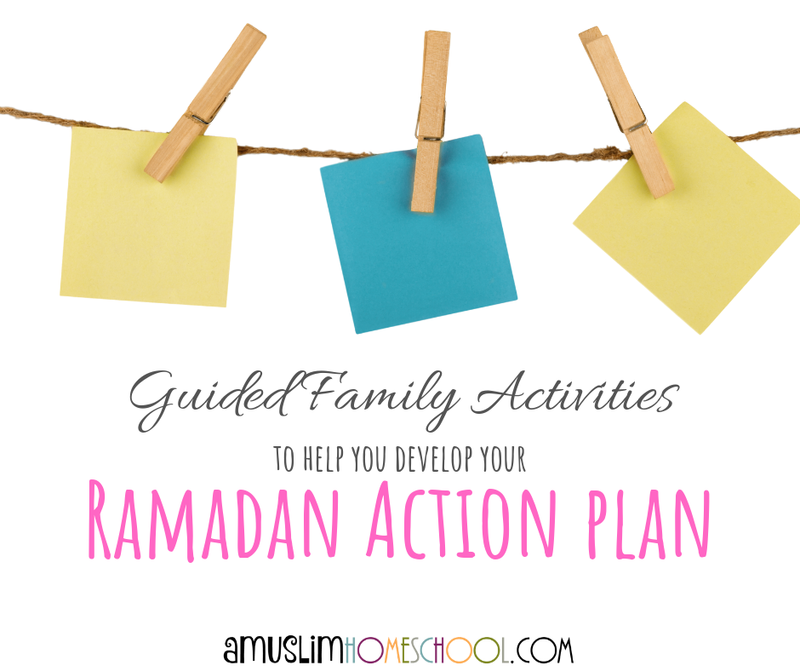 This short activity guide has been designed to help you figure out along with your family what is important to you all around Ramadan; giving you time to put things in place so that you can focus on what really matters bi'ithnillah. Ramadan is the time of year where routines change and focus shifts. We look forward it, and many of us move things around so that our families can take as much benefit as we can from this time bi'ithnillah. 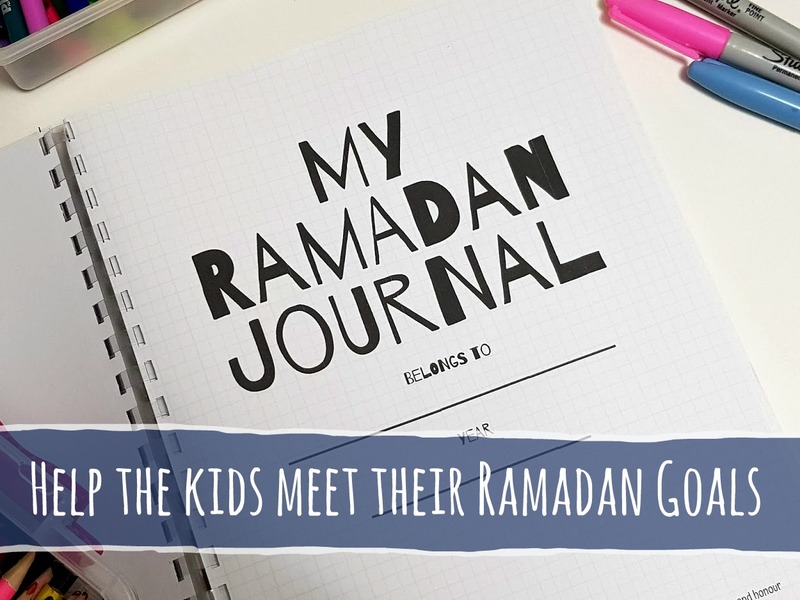 Yet despite our best intentions, it can be easy to get swept along and find ourselves lost in and amongst all our many responsibilities; struggling to find a balance between what we want to achieve over Ramadan and our everyday ordinary life. 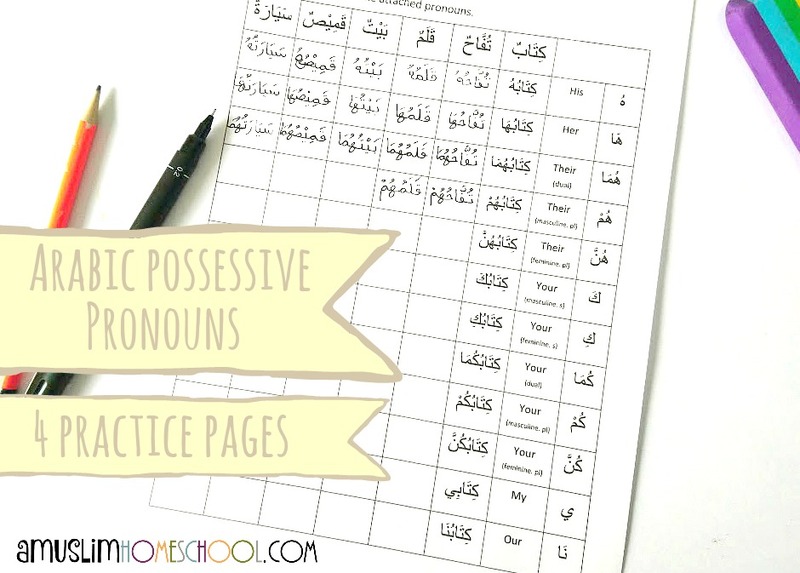 Who else is excited for the approaching Ramadan? I love this time of year and always feel it comes at a much needed time where I feel in desperate need of a boost. However, I will generally try to get as much stuff done as I can ahead of time. I always feel I need to gut the house from top to bottom in the weeks approaching Ramadan's arrival; deep clean everywhere and have everything straightened out. I also like to get as much ready for E'id as I can, so that I'm not having to waste valuable time during Ramadan that could be better spent in ibaadah. It’s that time of year where we find ourselves waiting to welcome Ramadan into our homes again inshaAllah; may Allah allow us to witness it. As parents and educators, we love getting ready for this special month; we love teaching children to get excited in anticipation of its arrival, and we love encouraging them towards good. It's been designed with two parts; the first to be used before Ramadan, the second during....and it includes 13 cover designs to choose from so the kids can all have something different (if they want to!). 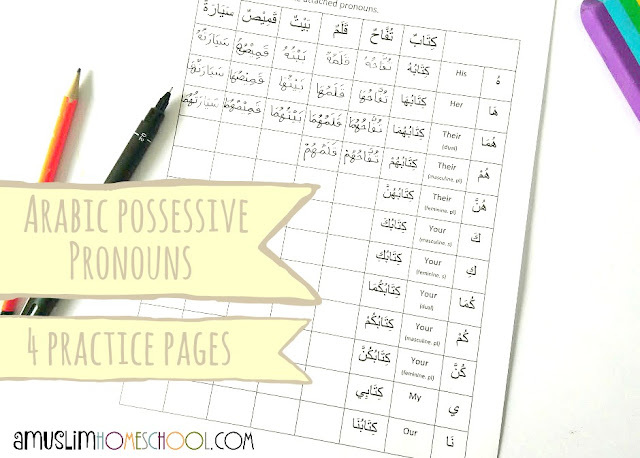 We've been working on Arabic possessive pronouns this week, so here is a set of four work sheets to help practice writing them; and includes the vocab translation. 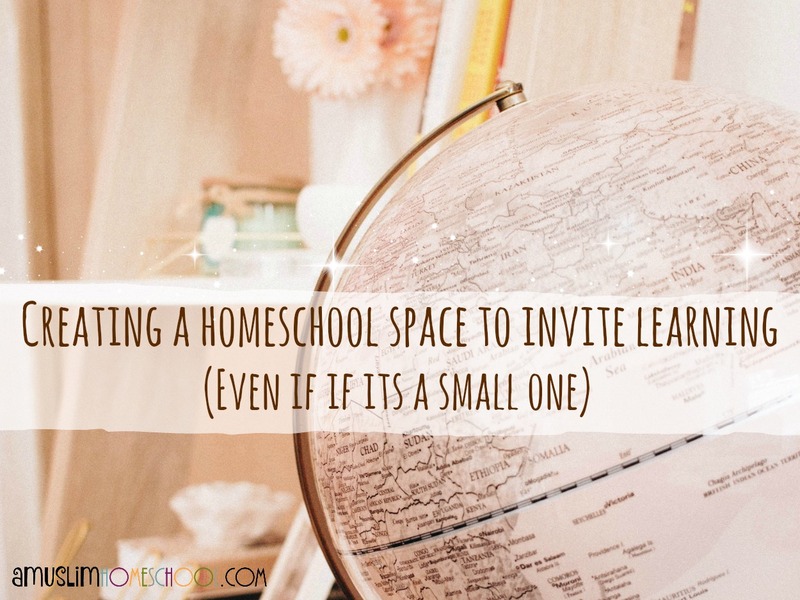 I receive questions all the time, asking how to homeschool. From sisters wanting to begin but not knowing where to start. And whist I always endeavour to reply to each one the best I can, I am limited in the time I have. And so it hit me, why not produce a ready-to-go guide, responding to this ever popular "how to start homeschooling?" question. 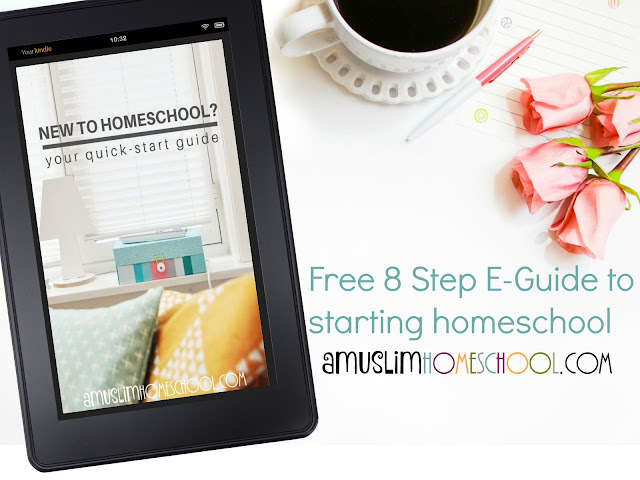 So here it is, a completely free, 8-step E-Guide to starting homeschool. When it comes to crafts supplies and learning resources, so many of us keep them safely locked away in unreachable cupboards or shelves; partly because some things are expensive and we don’t want to risk damage or loss, and partly because we don’t want a hot mess to clear up and we don't trust the kids enough to give them free access. But in doing this, we need to ask what message are we giving to our children about our learning environment? Something to consider is when things are out of sight, they are often out of mind. When we have things hidden away in storage, how often are they thought about? How often do we ourselves make the conscious decision to get them out? 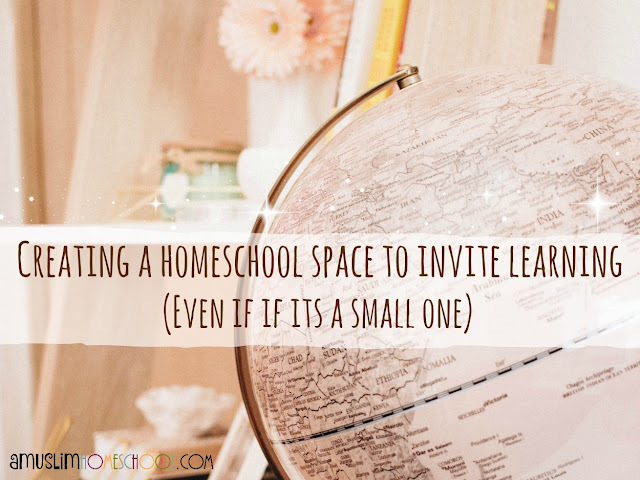 Whether you're reading this as a homeschool or school parent, I know if you're a responsible and interested Mum, you 100% want your children to enjoy learning and discovering new things. Some days you wake up, and there is only one thing on your mind: survival. Your goal is simply to get through the day; feed everyone, end the sibling conflicts without anyone loosing an eye, and hope that at least some maths gets done. Survive. 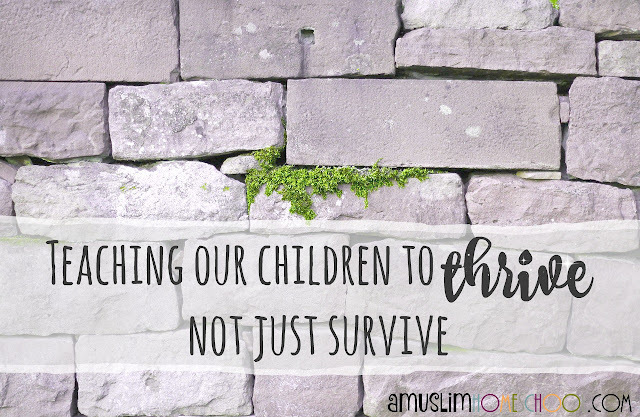 Deep rooted in amongst all the chaos, we know that there is more to this homeschooling life than just survival. None of us are home educating so our family can just merely survive. We want everyone to thrive. Should I help my child do homework? There is a consensus that when it comes to homework, this is something which a child should be left alone with unless they really need help. And certainly it should never be done for them. When I think back to my own school days, I notice that the kids who tended to be at the top of the class and well-liked by the teachers, generally seemed to be the kids who had parents (whether one or two) at home supporting them through their education. They didn't just leave it to the teachers. 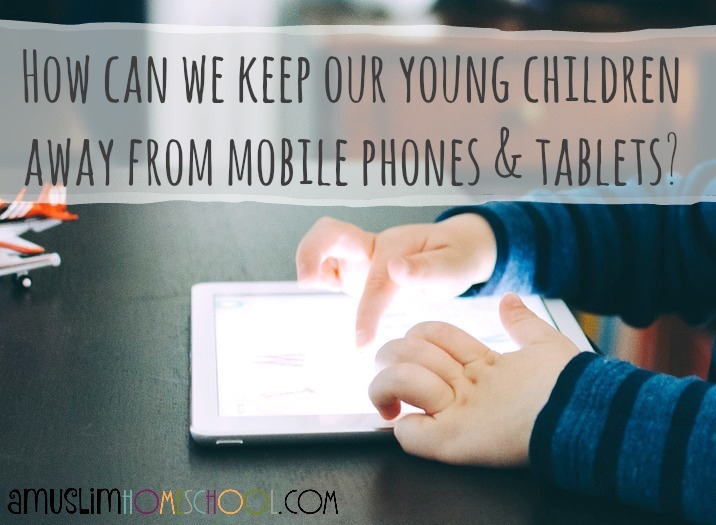 I was asked recently how can we keep our young children away from mobile phones and other electronic gadgets? You might not like my answer. I've seen too many mothers handing their young child a mobile phone to keep them quiet at the masjid, to get them to eat or when they are busy and need the kids to be quiet. ….if they didn't see us with them in hand so often. We have a big part to play in this, because many of us ourselves are addicted to our phones. Yes, addicted and often in denial. 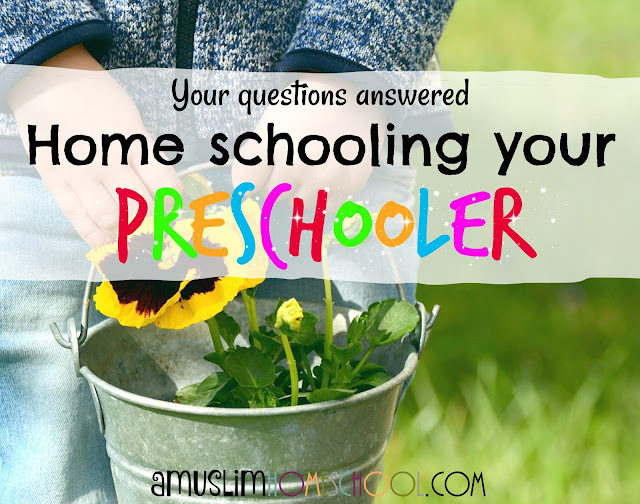 Following my last post on how to homeschool a two year old, I said I'd answer some of your questions that were sent to me through Instagram, relating to home-schooling your preschool aged child. I've gone ahead and converted my answers into a free pdf ebook to make it super easy to pick up and flick through. 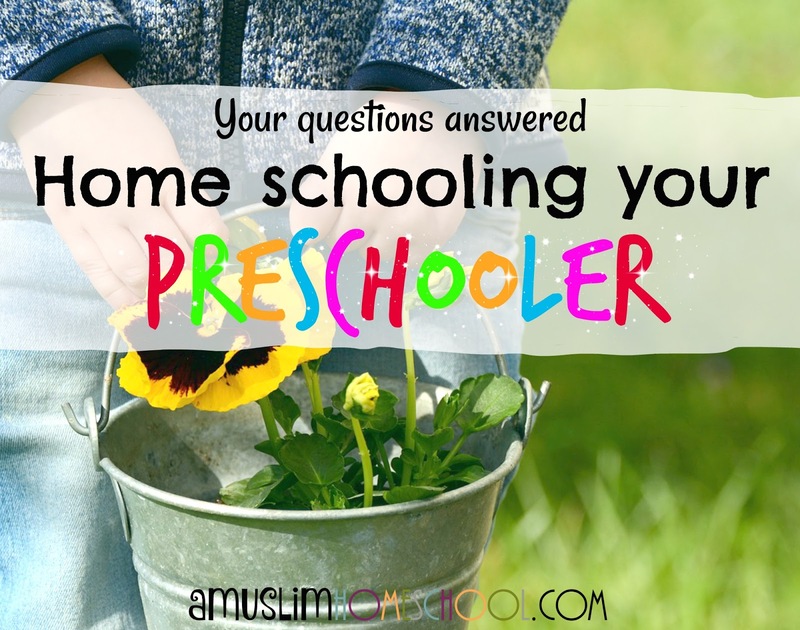 Much of my advice stems off the principle that pre-schoolers pretty much don't need homeschooling, but need parenting. They need you dear Mama, not a homeschool teacher.